The clean lines and understated elegance of the Athena are reminiscent of Shaker style furniture. The timeless look is compatible with both traditional and contemporary settings. Residents will enjoy watching the birds live their lives in this natural environment...even raising young! It's easy to hear the lovely songs of the birds through the breathing and sound ports above the 3/4 side doors. 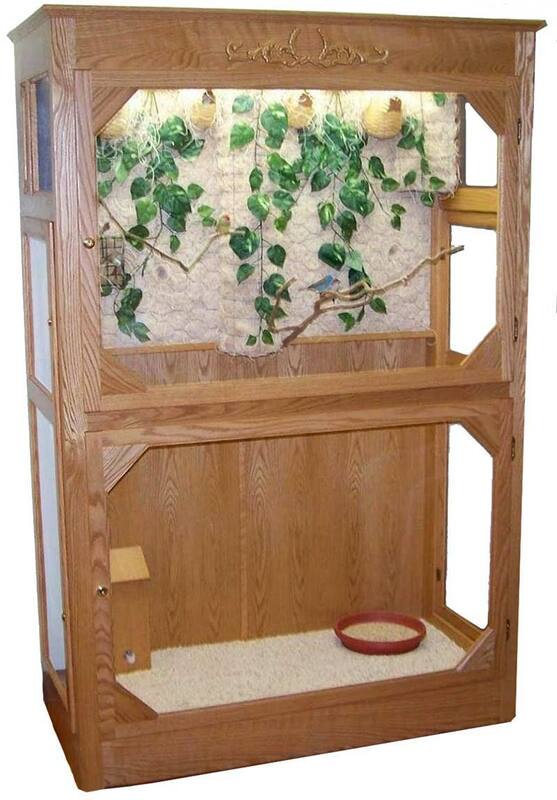 Front top and bottom doors open so all weekly care is provided from outside the aviary.